It’s hard to believe, but it’s been 35 years since Banks Power introduced its Sidewinder turbocharger system for GM’s 6.2L IDI. Released in 1983, this was the best way to get more power out of the lumbering, naturally aspirated V8. 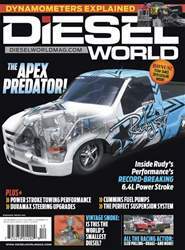 And before the Cummins was even available as an option in Dodge trucks, you could buy a turbocharged 6.2L-powered truck (thanks to Banks) at any GMC dealer. Shortly after releasing the Sidewinder kit for GM’s 6.2L, Banks developed a system for Ford’s 6.9L IDI. 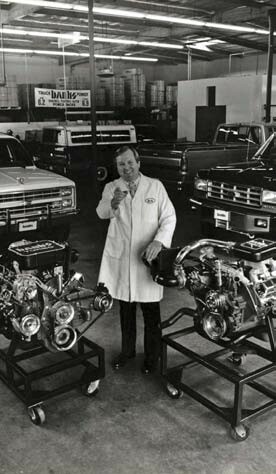 Banks recently posted this throwback pic of Gale Banks himself standing between a GM 6.2L and a Ford/International 6.9L, both of which are equipped with Sidewinder turbo systems and parked in front of their respective trucks.